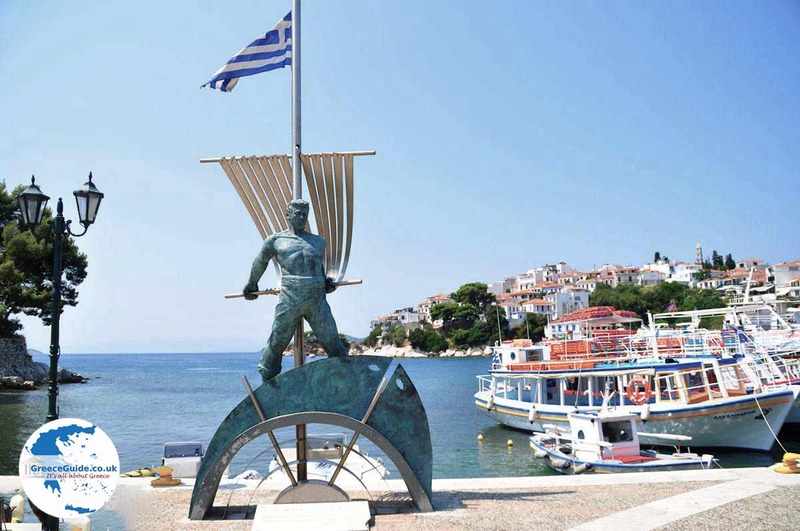 Aghia Paraskevi. 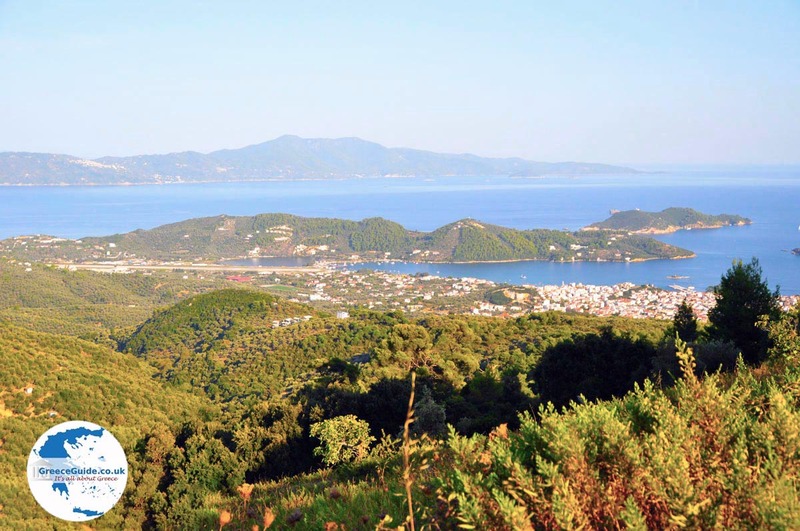 Aghia Paraskevi is located at the Greek island of Skiathos approximately eight kilometres from Skiathos town. 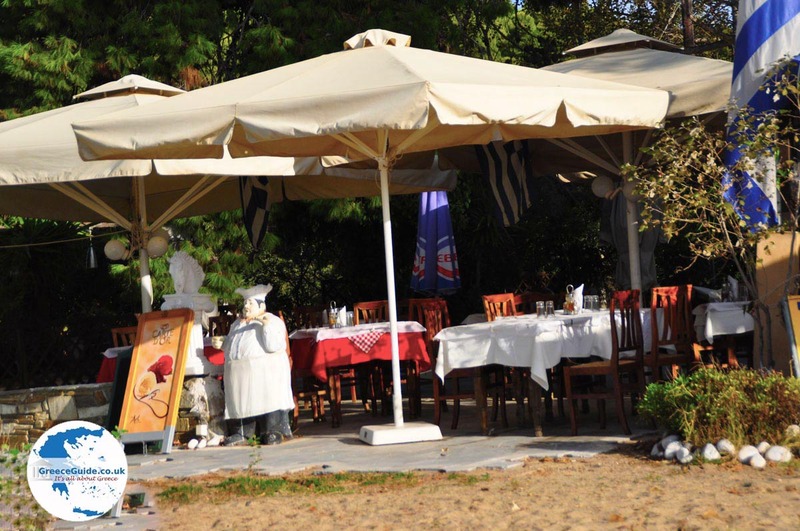 Many tourists love Aghia Paraskevi because it offers everything the most demanding tourist needs. 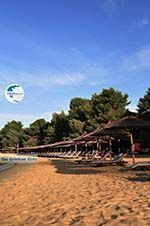 First of all, the beautiful large sandy beach, surrounded by green pine trees, plane trees and olive trees combined with the turquoise colours of the sea and the Greek blue sky. 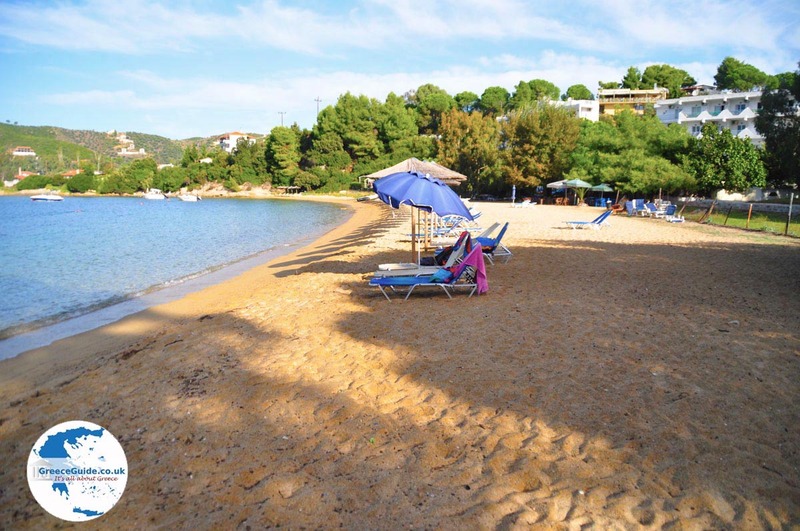 In addition, many good hotels like the “Skiathos Princess Hotel” and good taverns and restaurants. 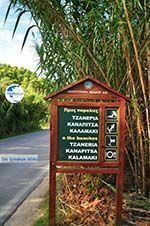 The whole area is actually called Platanias, which is the name of the hamlet that lies a few hundred meters from the beach. 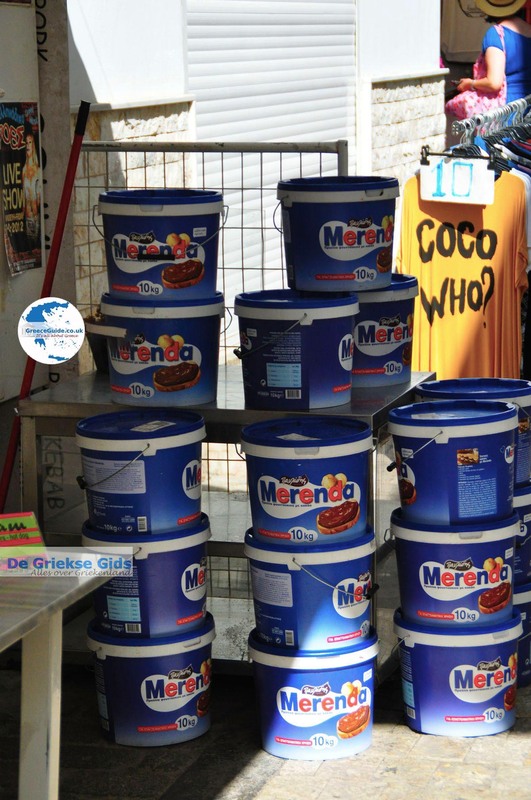 Platanos means Plane, throughout the area are many plane trees, hence the name of Platanos. 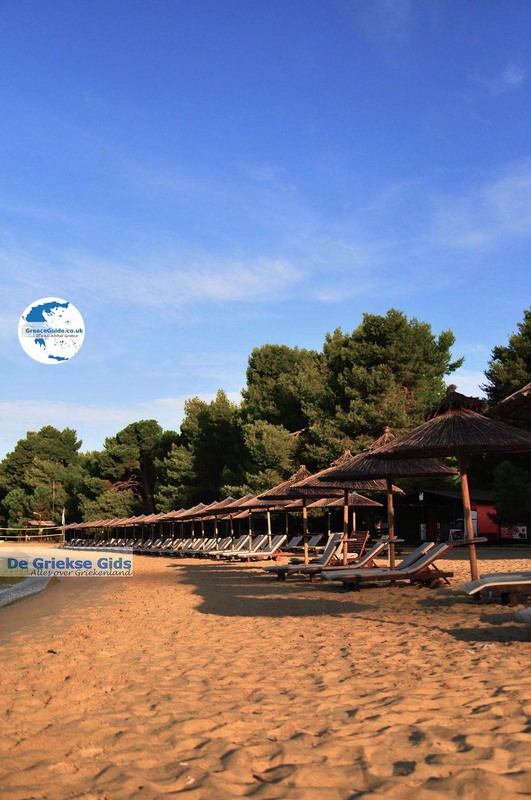 The beach has been named after the church of Aghia Paraskevi which is located a hundred meters from the beach, on the main road. 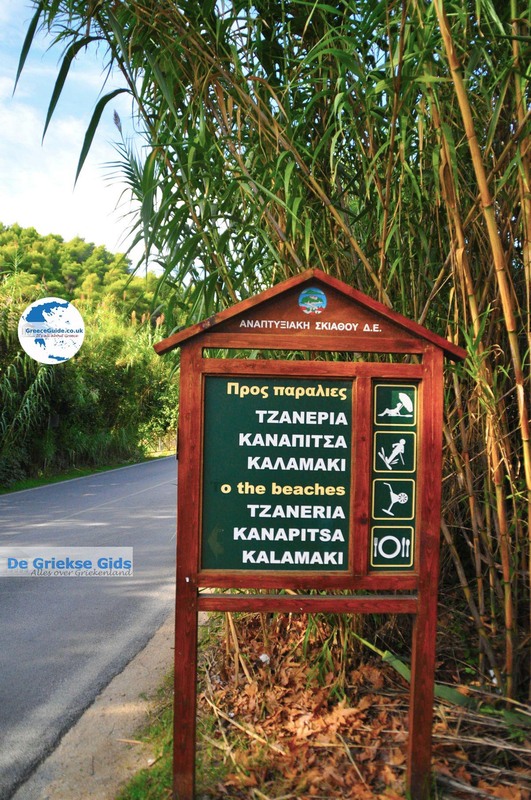 The sandy beach, which is actually located in two bays, (the second bay is called Kolios) is well organized. 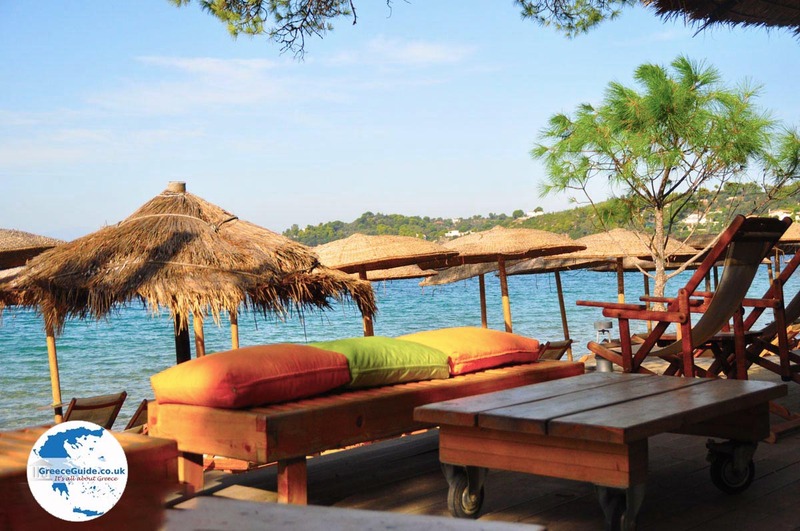 There are beach chairs and umbrellas and there are plenty of water sports available. On the provincial road is a small square with several terraces and shops. 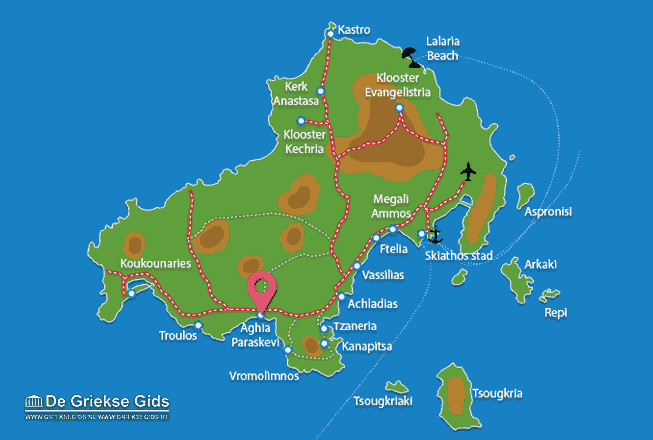 Aghia Paraskevi is attainable by bus, about once per hour, within fifteen minutes from the city. 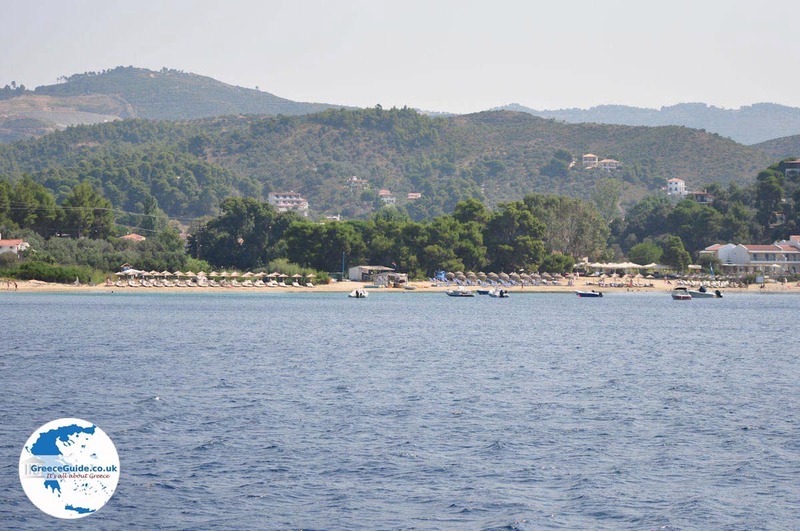 In Platanos-Aghia Paraskevi live about a hundred permanent residents. 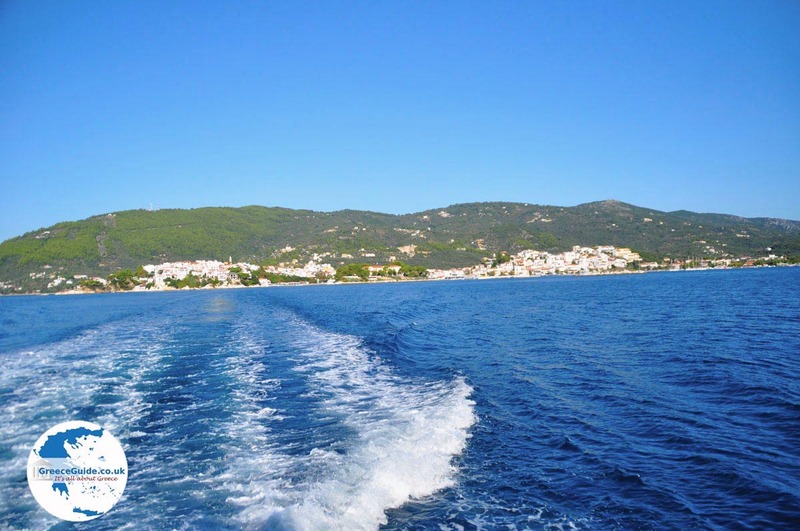 Skiathos: Where on the map is Agia Paraskevi located?